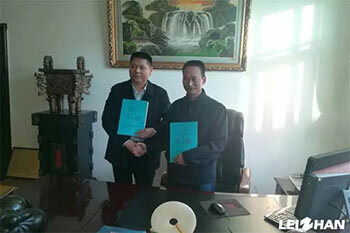 Recently, after many technical exchanges and communication, Leizhan signed a 1600t/d LOCC pulping line with Hongxing Ronghe Paper Co., Ltd. 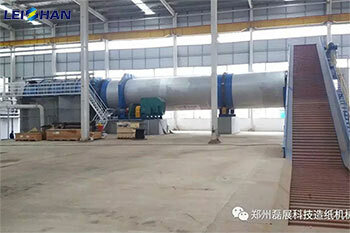 The whole wrapping paper pulping equipments are all provided by Leizhan, including Chain Conveyor, D Type Hydrapulper continuous pulping system, bottom layer waste paper breaking and Drum Pulper pulping system, high consistency Ist stage 2 section cleaning system, coarse screening system, fractionating system, fine screening system and pulp approaching system, broken paper system, pulp Agitator, etc whole set of pulping equipment. Item: 500,000t/y an annual recycled paper project of Kunming Hongxing Ronghe Paper Co.,ltd. Construction organization: Kunming Hongxing Ronghe Paper Co., Ltd.
Two production plant: one 300,000t/y craft paper, corrugated paper production line; one 200,000t/y high-strength corrugated paper production line. Leizhan Paper Machinery Company is a company specializing in the design, manufacture and sales of complete waste paper stock preparation equipment. If you have any need, please feel free to contact us. Welcome you to come and visit!